Janasena Chief Pawan Kalyan is all set to contest for the first time in the upcoming polls. Janasena along with CPI, CPM is contesting in all the 175 constituencies of Andhra Pradesh. 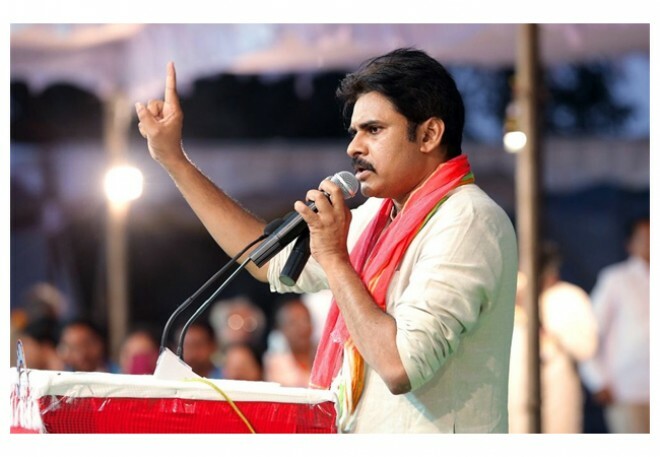 Though TDP along with YSCRP were least bothered about Pawan's impact, the latest updates say that Janasena is expected to take a wave in the polls. The initial polls restricted Janasena to a single digit but the recent happenings and Pawan's manifesto along with his speeches brought enough belief across major sections. TDP and YSRCP are worried about the vote split and cross voting that would hamper both the parties and benefit Janasena. Pawan on the other side is busy touring across the state and impressing the crowds. His speeches sounded mature and the actor turned politician is now quite confident on winning a good number of seats. TDP and YSRCP are busy with their plans with polls inching soon.